You can call it old school if you want; you can even call it old hat. 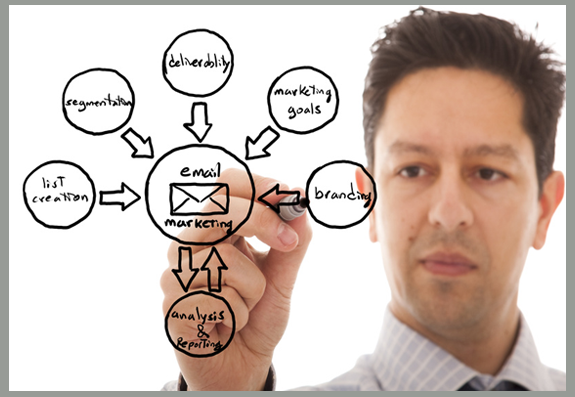 Just don’t make the mistake of thinking that email marketing has lost its importance for businesses of all sizes. Email marketing remains the cornerstone of any content marketing endeavor—and if you doubt it, just think about how many marketing emails you’ve received this week from big companies like Amazon.com. Actually, the percentage of professional marketers who heavily use email marketing has increased in recent years—and most small business owners who follow their lead say that email marketing produces significant ROI. Don’t discount email marketing, then, but embrace it—using the tips we’ve offered below. First, your email marketing campaign is only as strong as the email list you assemble—so ensure that you make it easy for people to sign up for your list. Put an easy-to-use, prominent signup box on your website, and also include links in any emailed receipts and invoices. When you send email blasts, include a short but value-loaded subject line; draw attention with a subject line that promises immediate benefits, like a discount or a special promotion. Develop and nurture your audience. Whatever email marketing platform you use—and we recommend Constant Contact first, MailChimp as an alternative—you should be able to track the views and opens you get. Keep tabs on which kinds of content seem to get opens, and use that knowledge to inform future emails. Be smart about recycling your blog content, press releases, and even Facebook posts. You don’t necessarily need to craft a huge new message for each email newsletter you send out; at Grammar Chic, we often send out emails that essentially round up recent blog entries. We know of other companies that send out email roundups of Pinterest posts, which can be another practical way to recycle your best content and get it in front of a new audience. Always include contact information, including a telephone number and a link to your website. Remember that more than half of your emails will be opened on mobile devices, so you want contact information that can clearly be seen and clicked on. To learn more about what an email marketing campaign can accomplish for your brand, contact the Grammar Chic team today: Call 803-831-7444 or visit http://www.grammarchic.net.